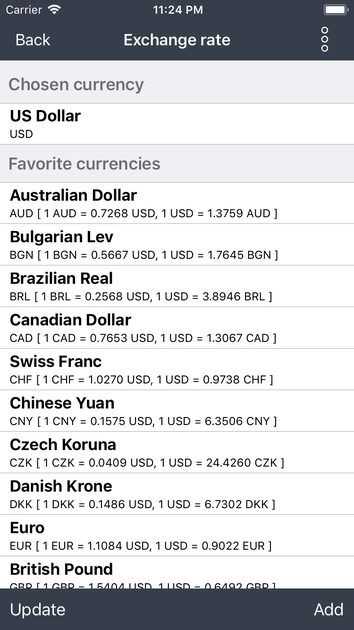 We currently support 170 world currencies. 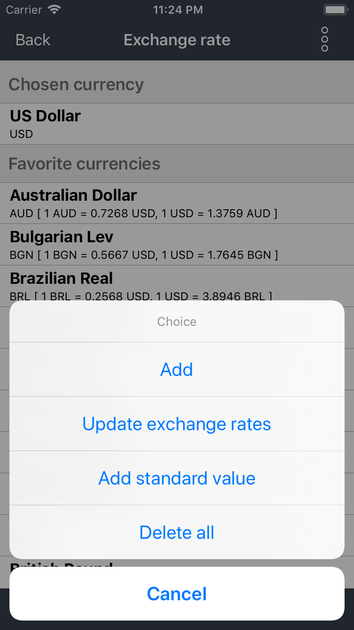 We have decided to allow only one daily request for the moment, because we use a paid service provider for the exchange rates. 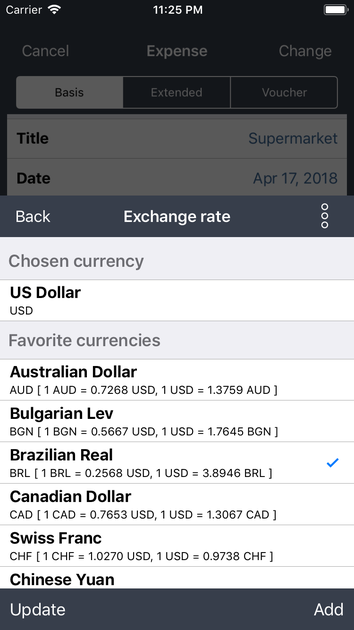 You can test this functionality with the standard currencies, and purchase it under settings (in the shop), if it is necessary. 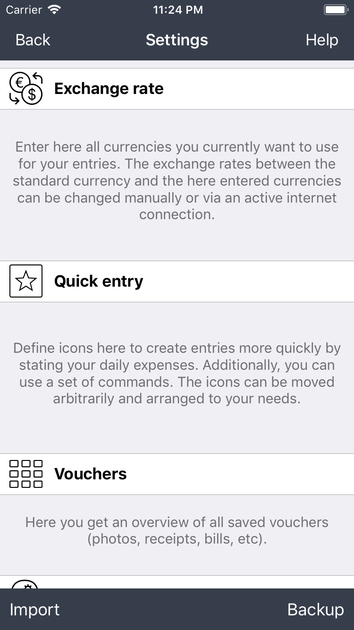 Go to the settings for "in-app purchases" and choose the corresponding extension in order to do this. You can also purchase all extensions for an attractive all-in price. 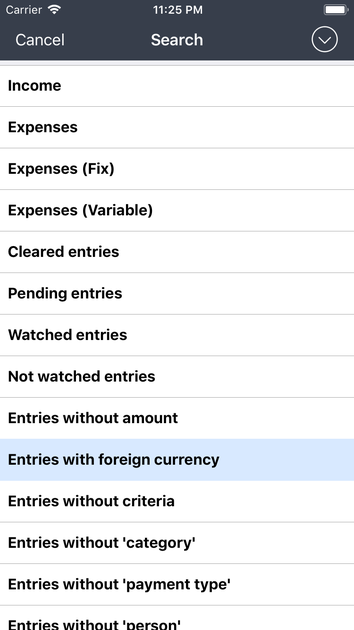 You can determine all the currencies that you want to use currently for your entries in the dialog. 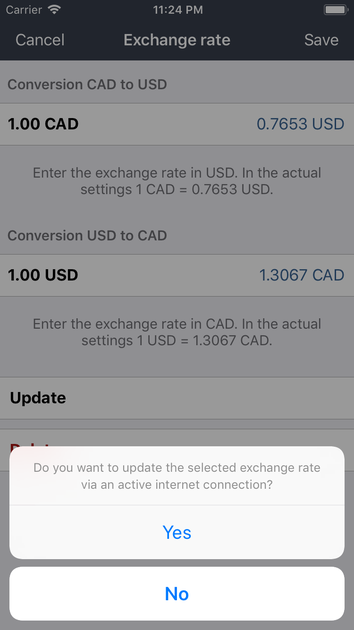 You can change the exchange rates between the default currency and the selected currencies manually, or update them via an active Internet connection. 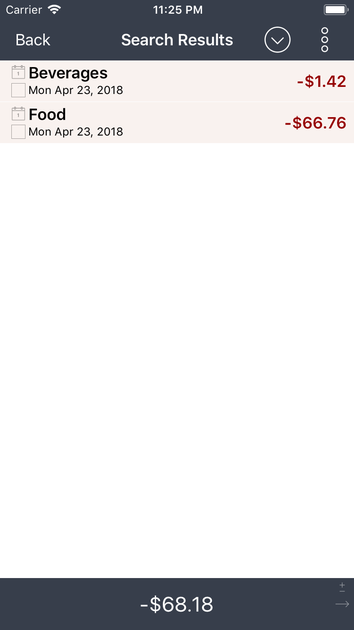 You can execute some useful commands in the menu. 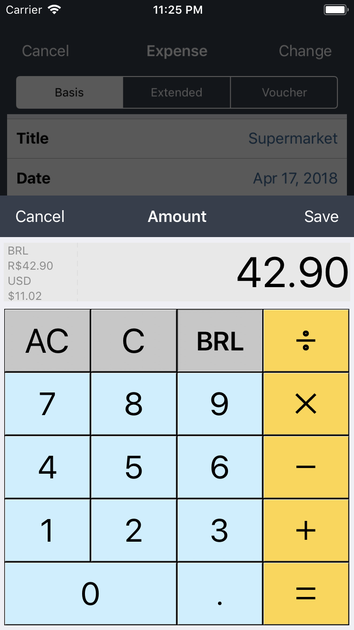 For entry input, you can select the currency by clicking on the third button from the top left of the calculator. 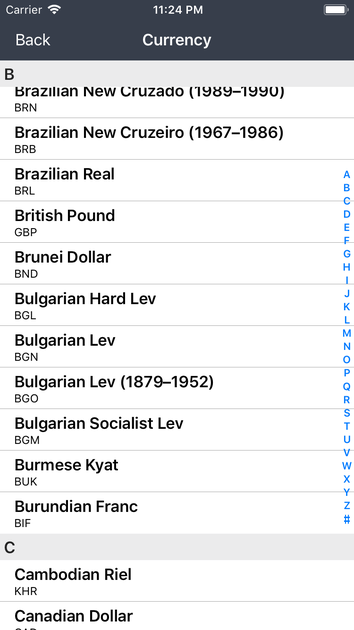 A dialog will open with the favored currencies and their exchange rates after that. 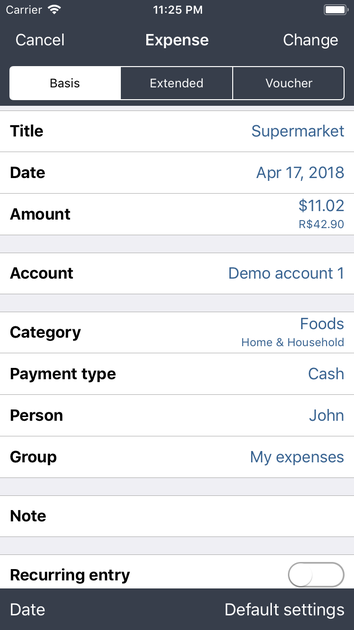 After you have selected a currency, the conversion will be shown on the left side of the display. 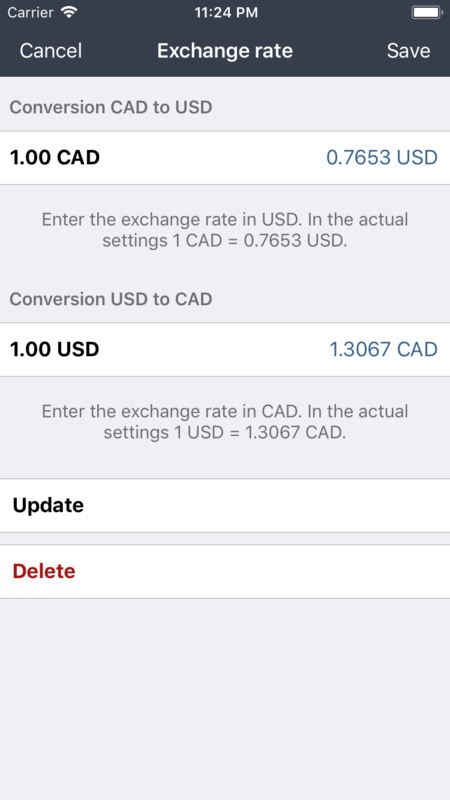 After confirmation, we will show you the given and converted value under amount, if both currencies are different. 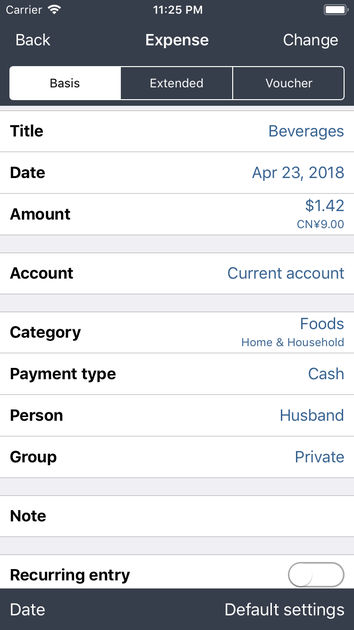 Using this kind of display methods, you will know whether another currency has been used. 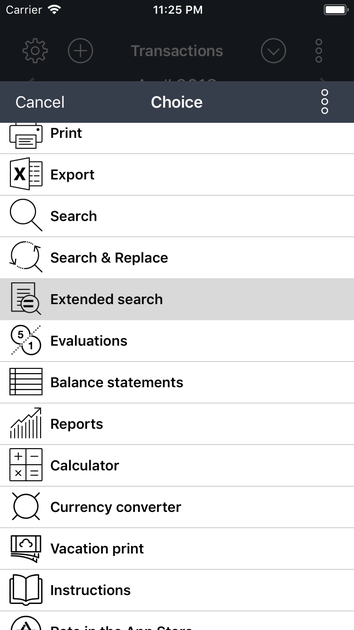 You can easily view all entries with a foreign currency under the menu item "advanced search", and edit them when required.